"It is her strong will power and daily habit of practising yoga which kept her physically fit," Sharmila's brother Irom Singhajit said. 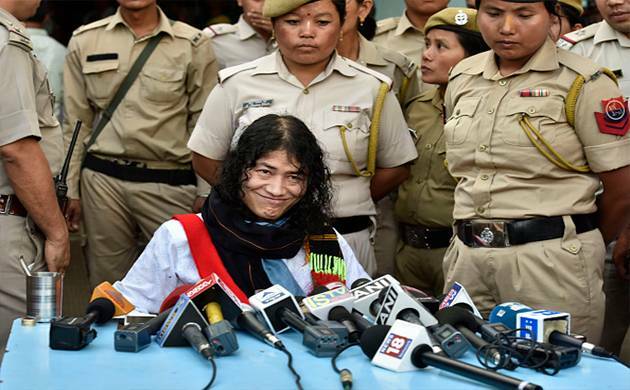 The secret of Manipur's 'Iron Lady' Irom Sharmila's fairly good health even after undertaking a hunger strike for 16 years, during which she was forcibly nose-fed, lay in her will power and the habit of practising yoga daily. According to her associates and family members, she learnt yoga in 1998, two years before she sat on the hunger strike which ended yesterday. "It is her strong will power and daily habit of practising yoga which kept her physically fit," Sharmila's brother Irom Singhajit told PTI. As a young woman in the nineties Sharmila was fascinated by the subject of nature cure and took up a course which also included yoga as a means of natural well-being. "Yoga is not like football. It is different. If a person does yoga, it can help one to live longer. By doing yoga, one can live upto one hundred years! It is not so with other sports like football," Sharmila had told her biographer Deepti Priya Mehrotra in the book 'Burning Bright'. She recalled that she began doing the Yoga asanas in 1998-99 and since then she has been doing it everyday. Describing Sharmila as someone exceptionally close to nature, the book says she used to experiment continually with her body through Yoga and walking. Under police detention since indefinite hunger strike is viewed as an attempt to commit suicide, which is a punishable offence, Sharmila has spent almost all of the last 16 years at the Jawaharlal Nehru Institute of Medical Sciences Hospital here. Through a Ryles tube which reaches the stomach through nose, she was forcibly nose-fed a liquid diet made from boiled rice, dal and vegetables. As an undertrial prisoner she rarely had visitors and led a solitary life during her fasting period.